Wrinkles, sun spots and facial lines, what a wonderful part of life. They are almost impossible to prevent, often determined by genetics and lifestyle choices. They are good indicators of our age, which is probably why so many of us fight to prevent them. However, in terms of lines on forehead meanings can reveal quite a bit about your mental and physical state if you know how to read them. What Are the Meanings of Lines on Forehead? 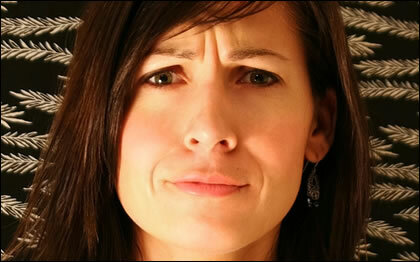 If you are a person with a single crease vertically placed between your eyebrows, you are thought to be both persistent and stubborn. You have a level of determination that many admire, not giving up easily. Seen as selfish, unromantic and egotistic, you are also a serious person. If you have two vertical lines on forehead meaning they run between your eyebrows, you are a kind, empathetic, caring and sympathetic person. You typically get along with almost anyone. You can see other people's side of things and are likeable. However, if you have angled lines, you tend to have a quick temper and can overreact. If you have multiple vertical lines, you can be somewhat of a perfectionist. You analyze things before making decisions and are hardworking. There are seven horizontal lines on forehead meaning there are seven different representations. You may have one or all of them. Each is associated with astrology, from the hairline traveling to your eyebrows in the name order of Saturn down to Moon. If you have the Saturn line, it means you may be interested in foreign languages, mining or agriculture. It also means you are reserved in nature. The next line down is the Jupiter line, which indicates a person who enjoys food to the point of overeating and money to the point of wealth. If you have this line, you have a love for knowledge and strong beliefs in religion. The Mars line is the next one down and indicates you have a bad temper, are selfish and aggressive towards others. However, you also have a lot of stamina and courage. The Sun line is a person who desires prestige and the power that comes with it. A person with this line usually holds a good place in society and may even work for the government. The Venus line, which is the third one up from your eyebrows, means you are artistic in terms of musical instruments and singing. You love the pleasure of fine art and entertainment. The next line is the Mercury line. If you have this line, chances are that you are a good communicator. You may even have a career in sales, business or journalism. The line directly above your forehead is the Moon line. A person with this line has a love for poetry, music, good food and fine wines. You have a good intuition about things and are trusted. If you have any of the horizontal forehead lines and they are unbroken without any black marks or lines crossing, this is a favorable sign. 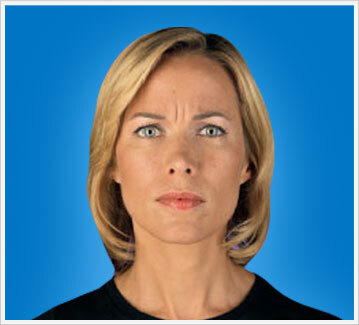 However, if the forehead lines are broken up and have other marks, this can mean a person has a bad deposition. If you have horizontal lines on forehead meaning they run across it, sometimes they can tell you something about your health. For example, these lines have been referred to as worry lines. They can be a sign that you have a lot of built up stress and you need to find time to relax. 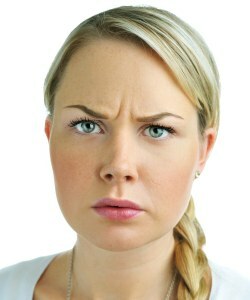 Another thing to consider is horizontal forehead lines have been linked to your stomach health. If you have them, you may be consuming too much fat and sugar. You may also need to drink more water. Either case, you need to pay more attention to what you are eating or drinking. The location and shape of facial lines can indicate several things about your health and wellbeing. If you have a vertical line running between your eyebrows and it slants to the right, it can be an indication of a liver problem. Add more fruits, green vegetables and whole grains to your diet and stay away from spicy foods, coffee and salt. If you are having symptoms, see your doctor. 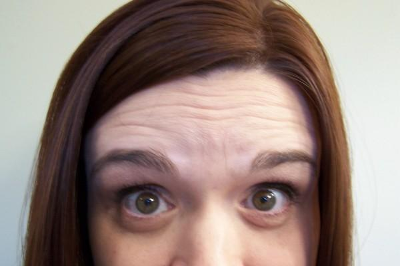 If your left eyebrow line is more prominent, this indicates possible trouble or weakness in your spleen. This organ is stimulated by sweets. So find healthy ways to add sugar into your routine. Consider dried fruit instead of refined sugar products. 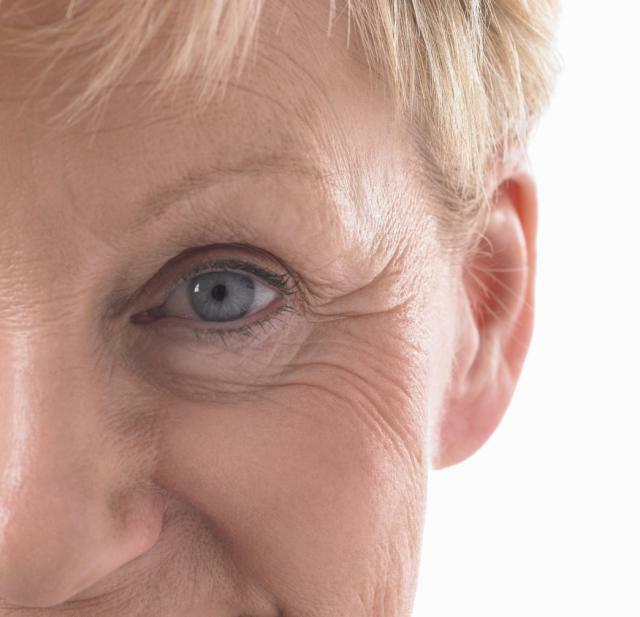 While often associated with age and smile lines, crow's feet are also linked to eyesight and other internal organs. Sometimes the lines are prominent because you have weakened eyesight so you squint a lot. This can make the lines worse. Crow's feet can also be related to liver, stomach and kidney health. You may need to eat healthier and get more exercise. 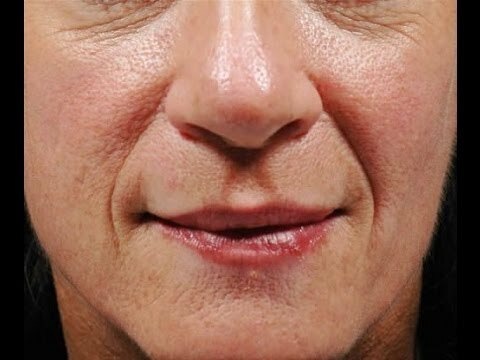 Mouth lines are the vertical lines that run on the side of your mouth. This area is linked to colon health. If these lines are deep, make diet changes to promote a healthy colon by adding vitamin D and fiber into your diet. You should exercise and drink more fluids as well. A person with laugh lines who actually laughs a lot should embrace them as it reflects how happy they are. However, if you don't laugh a lot it may mean you have a weak pancreas. Add foods like cherries, blueberries, spinach, grapes and garlic to your diet for better pancreatic health. 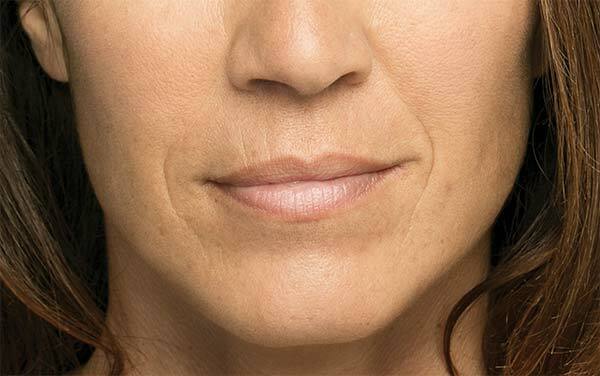 Vertical upper lip lines are often associated with smokers. However, not everyone who has them has smoked. The lines can also be linked with spleen health. If you possibly have a weak spleen, eat small yet frequent meals and incorporate root vegetables into your diet. 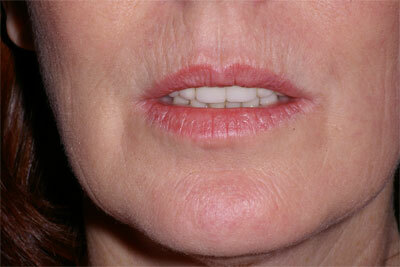 Also considered a crease in your chin, a lower lip line is closer to the bottom of your lip. When this line is deep, you may be bottling up negative emotions. It is bad for your health to hold things in, so look for a positive release for these built up feelings. Grape seed extract: Drink or swallow supplement of 100-300 milligrams daily for 21 days, then cut back to 100 mg a day afterwards. Rosehip oil: A regenerative oil with healing properties, it is ideal for combating fatigued skin. Use as a night cream as a way to moisturize dry skin. Hedge mustard oil: Combine 15 drips with almond or sunflower oil and massage into your face for instant moisture. Limit salt intake: Eating too much salt can dehydrate your skin, which makes your wrinkles worse. Reduce your sodium intake and drink more water. Splash cold water: Regularly splash your face with cold water to provide instant regeneration of your skin by increasing blood flow to the area.